Peterson, Thomas. "Douglas Lloyd Campbell". The Canadian Encyclopedia, 16 December 2013, Historica Canada. https://www.thecanadianencyclopedia.ca/en/article/douglas-lloyd-campbell. Accessed 20 April 2019. Douglas Lloyd Campbell, politician, premier of Manitoba 1948-58 (b at Portage la Prairie, Man 27 May 1895). D.L. Campbell won election to the Manitoba legislature in 1922 as a Farmers' candidate in Lakeside riding, which he represented for 47 years. Douglas Lloyd Campbell, politician, premier of Manitoba 1948-58 (b at Portage la Prairie, Man 27 May 1895). D.L. Campbell won election to the Manitoba legislature in 1922 as a Farmers' candidate in Lakeside riding, which he represented for 47 years. In 1936 he was appointed minister of agriculture in the Liberal Progressive government of John BRACKEN, and in November 1948 he replaced Bracken's successor, Stuart GARSON, as premier. In coalition with the Conservatives in 1950, his government was re-elected in 1949 and 1953 but defeated by the Conservatives, led by Duff ROBLIN, in 1958. 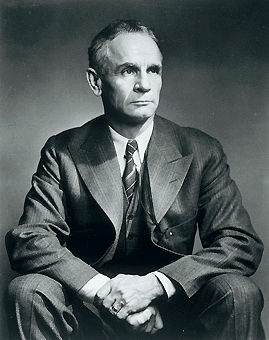 Apart from extending electric service to rural areas and creating the first independent electoral commission in Canada, his government was cautious and thrifty. Succeeded as party leader in 1961 by Gildas Molgat, and retiring in 1969, he continued to denounce big government, bilingualism and deficits. His career exemplifies the transformation of the farmers' protest of the 1920s into a neoconservative force in western Canada by the 1970s. M.S. Donnelly, The Government of Manitoba (1963).